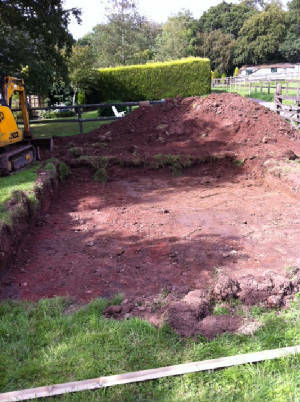 The digger starts work on the new pond and the good news is the ground is easier to dig than the last pond. 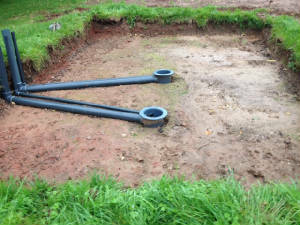 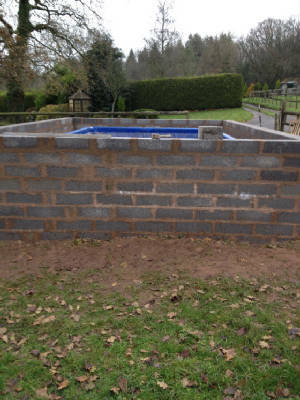 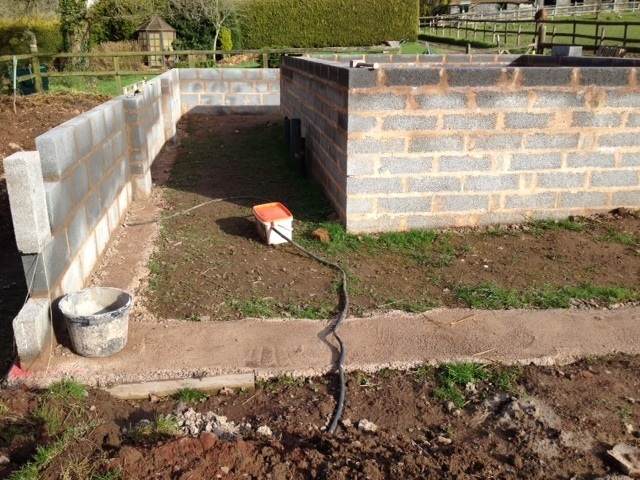 The bottom drains and pipe work are being fitted and all the bottom drains fitted to this pond will be aerated. 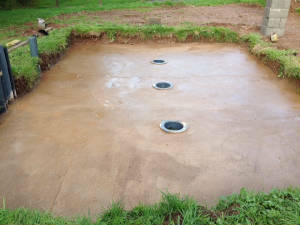 The pond was designed to take the Aquosis Max 1 which I had aquired, this pond holds just short of 4,000 gallons. 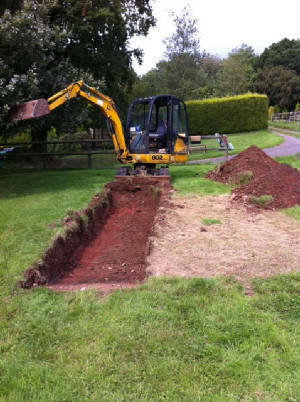 The digger makes easy work on the pond base, this pond will not be as deep as the 1st pond, so it will be a lot quicker to dig. 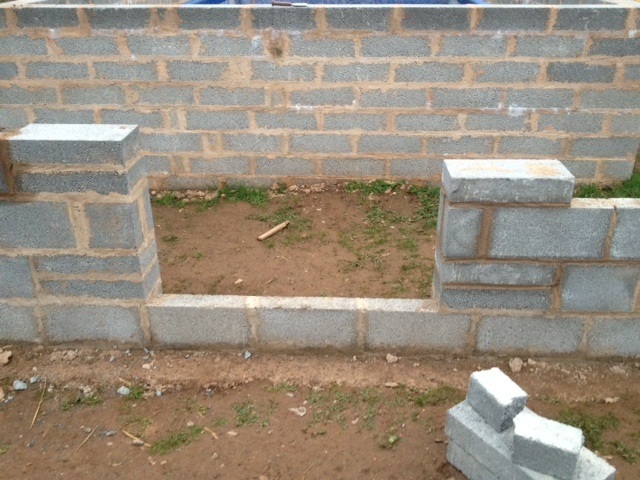 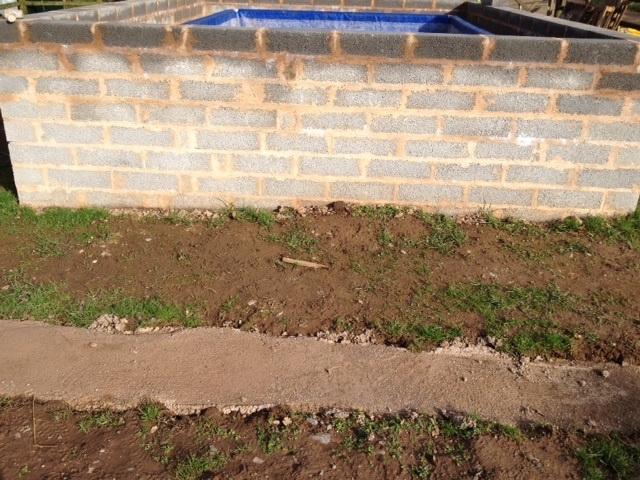 The concrete base has been poured and as you can see I have fitted three aerated bottom drains to the pond. 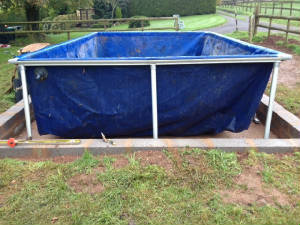 If you click on any of the photos they will enlarge to give you a better view of the picture.